They realise panting is normal, but they aren’t sure if what they’re seeing in their dog is excessive, and if yes what it means. 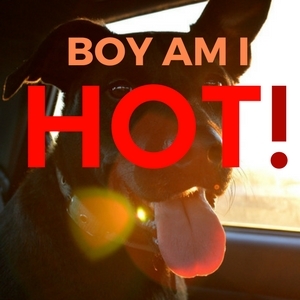 Dogs don’t sweat like we do, so they pant in order to cool off and regulate body temperature. So when is it a concern? When he’s panting for no reason, and when he sounds different than normal. There are lots of reasons why dogs pant, some expected, others more serious. We know dogs can’t sweat, we know they pant to regulate body temperature, so it could simply be a matter of them being hot. Perhaps it’s warm in the house and they’re feeling it. Maybe they’ve walked a bit too far, or been running in the fields and haven’t had enough water to drink, or are in a car without air conditioning. Beyond being hot on a summer’s day, there’s heatstroke. A dog suffering from heatstroke may still be panting even when resting. An emergency trip to the vet is in order. Avoid going for walks during the hottest part of the day, and keep them shorter. Walk in the shade when possible, and stop for water breaks. Excitement can cause panting in dogs of any age, but seeing as older dogs can be more reactive to excitement and adrenaline, they may be more prone to panting as a result. The most serious condition that causes excessive panting is congestive heart failure. My senior dog Red has a few heart problems, so I’m always on alert if she starts to pant for no apparent reason. In her case if she pants due to prolonged stress, like being restrained for a test at the vet, her tongue will turn blue. Obviously we avoid those scenarios, or keep them as short as possible. Luckily it’s a rare occurrence. Obesity is not limited to senior dogs, and can cause panting in dogs of any age. What if your senior obese dog has heart issues you may not be aware of? This is a potentially life threatening situation, so call your vet immediately and voice your concerns. 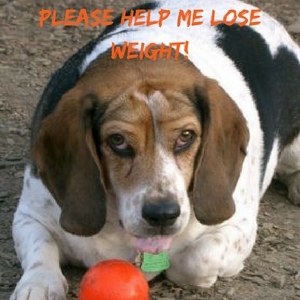 Even if your dog has no heart issues but is panting simply because he is overweight, he needs help starting right now. Make an appointment to see your vet. Explain your concerns over the phone, and try and get in to see your vet sooner rather than later. If your dog’s panting is particularly worrying, please don’t be shy about asking for an appointment that day. You know your dog better than anyone, and if you’re worried you need to explain the sense of urgency. Early diagnosis increases the likelihood of a positive outcome. You know your dog best, so you will know what is “normal” and what is cause for concern. 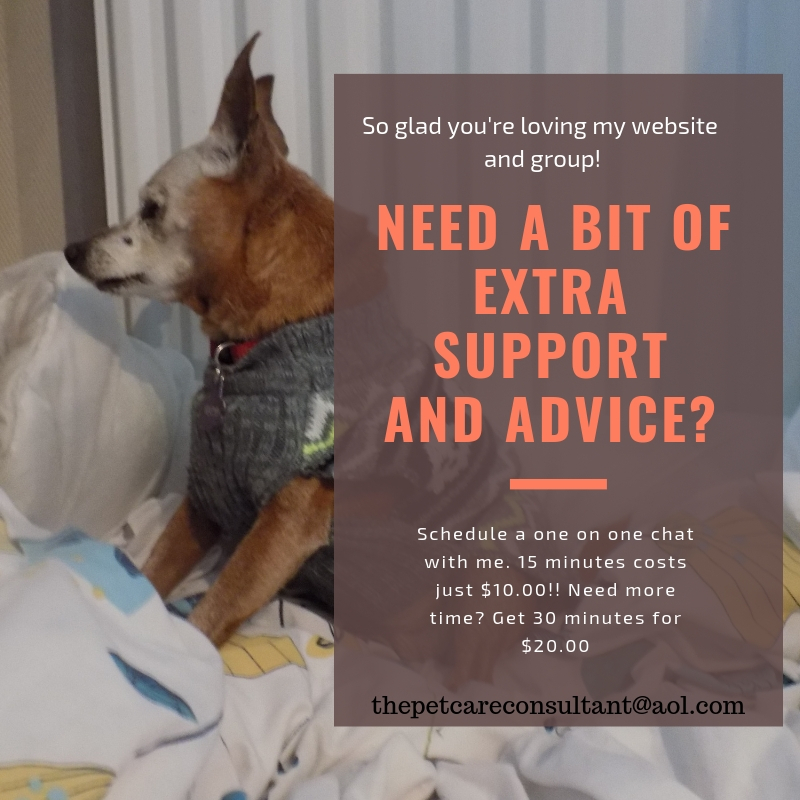 When dealing with senior dogs, particularly those with other health concerns, it is never a good idea to adopt a “wait and see” attitude. 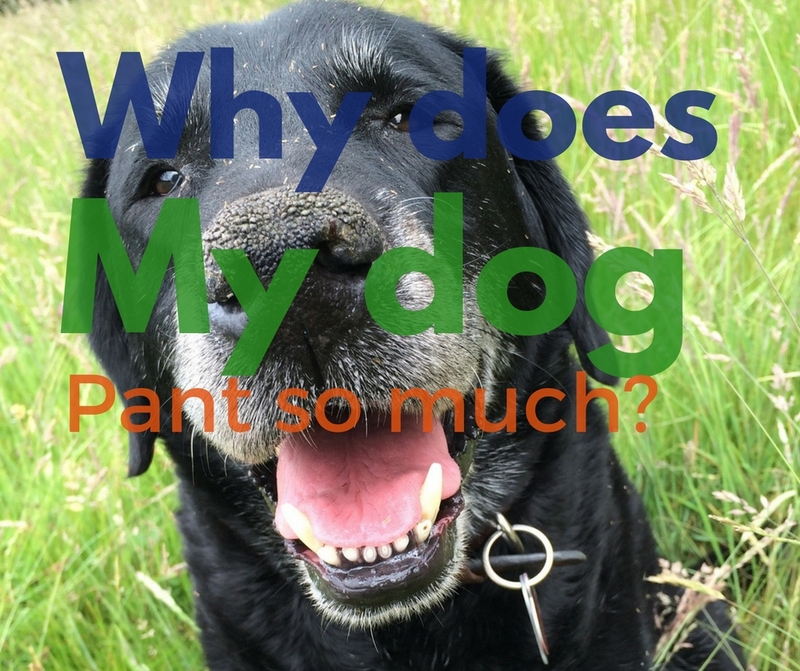 I do hope this post has answered your question “why does my dog pant so much” and if you have any comments or experiences to share, please leave them in the section below, or on my Facebook page. Great article – and it is so very important to monitor a pup’s panting, particularly as they get older. Little differences, including if the panting has wheezing, etc., included indicate different things. I just love how you carefully watch over Red and share your journeys – such incredible devotion and love (going both ways)! Hi Rebecca, thanks very much. Absolutely, it’s important to watch out for not only an increase in panting, but changes in sounds etc… That’s so kind of you to say. I share when I can in order to help people see just because a dog is older, blind or has health issues, they are still important members of the family and should be included, not left behind. She did pick me at the shelter, the least I can do is live up to her expectations!! My dog is 14yr old.golden retreiver/shepard. He has long blonde hair. In the last few years I have had to have him shaved down as low as possible. I guess his long hair makes him too hot. I say that bc when hes near bald he doesnt pant nearly as much. So winter or summer he needs to be bald. I have dog sweaters for him bc I live in the northeast and winters are freezing. Dog sweaters and coats are the best, they helped my dog as well. I assume you’ve had the vet check to see if he has any heart issues?